At Arabella Rose Hair Extensions Salon, we use only the finest quality Russian hair extensions. Each ponytail has been sourced from a single donor and kept ‘cuticle correct’ – meaning that all the cuticles face the same direction from root to tip. This is vital in ensuring that your extensions don’t matt or tangle. Hair that is cuticle correct is referred to as ‘Remy’ hair. Many people misunderstand exactly what ‘Remy’ hair extensions are. With many cheap and over-processed hair extensions, the hair that’s been cut from the the donor isn’t kept in the same direction from top to bottom. This creates a backcombing effect because the cuticles are mixed up; in turn, this causes matted and tangled strands. As the hair can’t be used in such a state, many companies then strip the hair of its cuticles by putting it in an acid bath, which means it becomes over-processed. Lastly, the hair is dipped into silicone to gain a smooth and shiny appearance. After such over-processing, the hair fails to look natural. And when the silicone inevitably starts to disappear after a few washes, the hair extension returns to a dry, tangled and matted state. The real, raw, unprocessed Russian hair we use at Arabella Rose is of the highest grade. 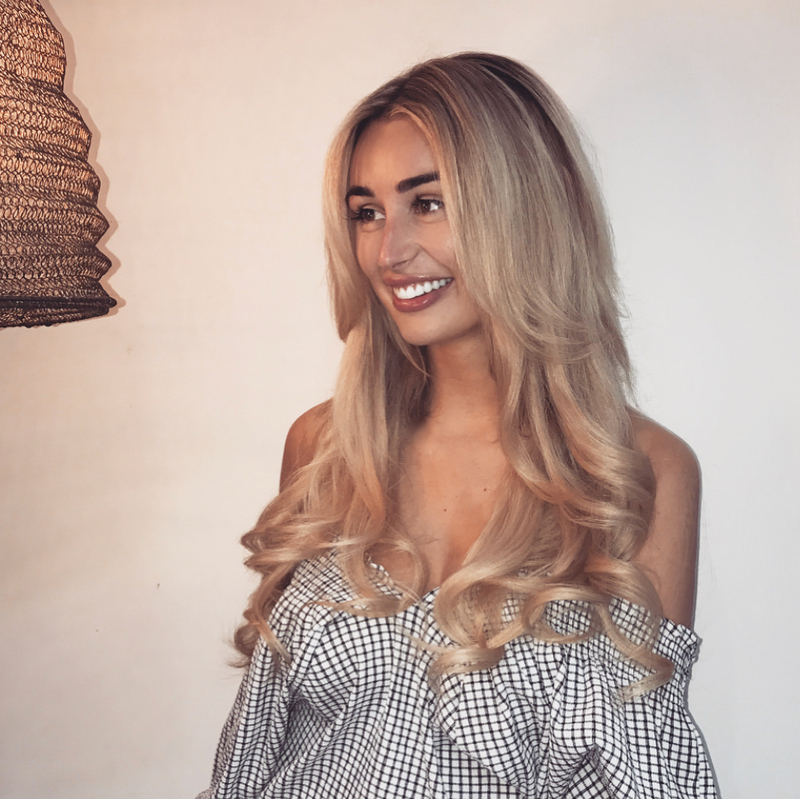 The colours used in each hair extension have been lightened slowly and carefully to ensure beautiful, soft hair that can be reused time and time again – guaranteed. We pride ourselves on being able to provide top quality bespoke hair to specifically match any colour, length and texture you might require. We also ensure that we always have plenty of stock available so that you have the widest possible choice.